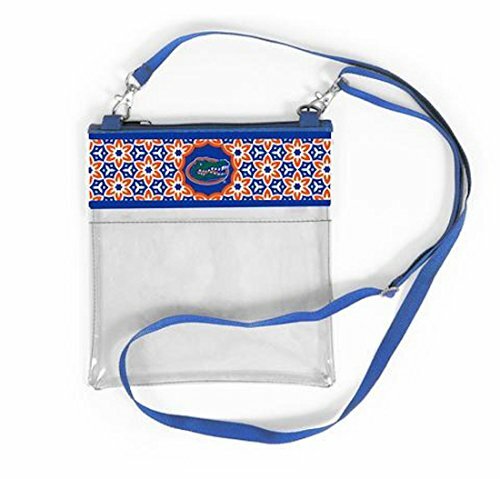 Support your favorite team on gameday with our Small Crossbody, featuring a clear PVC body with team logo and classic accents of coated cotton canvas and silver hardware. The main zippered compartment is perfect for securely storing your personal items. Easily convert your accessory from a crossbody to a clutch with the adjustable and detachable coated cotton canvas strap. 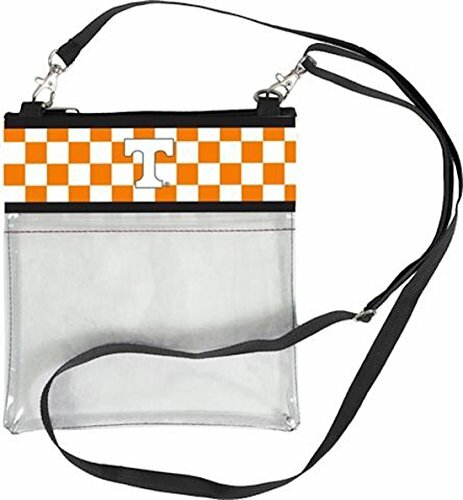 Clear Gameday Crossbody. Our new clear crossbody not only allows you easy clearance into the stadium, but keeps your hands free to cheer on your team! Plenty of room for your gameday essentials, features adjustable strap, outside pocket and zipper closure. Size: 7.5"w x 8". This comfortable cross body Auburn backpack gives you quick access thanks to its mono strap design that moves easily from your back to your chest. Sturdy 1680 Denier Ballistic Nylon along with large zippers make this Auburn backpack durable enough for school or travel. Features include an adjustable padded across body shoulder strap, and an organizational panel with key fob in a zippered pocket. 21.5in x 13.5in x 6.25in **OFFICIAL NCAA Auburn University Backpacks & Auburn Sling Backpacks - Up To 12% Returned To Support Auburn University Programs! This comfortable cross body Alabama backpack gives you quick access thanks to its mono strap design that moves easily from your back to your chest. Sturdy 1680 Denier Ballistic Nylon along with large zippers make this Alabama backpack durable enough for school or travel. Features include an adjustable padded across body shoulder strap, and an organizational panel with key fob in a zippered pocket. 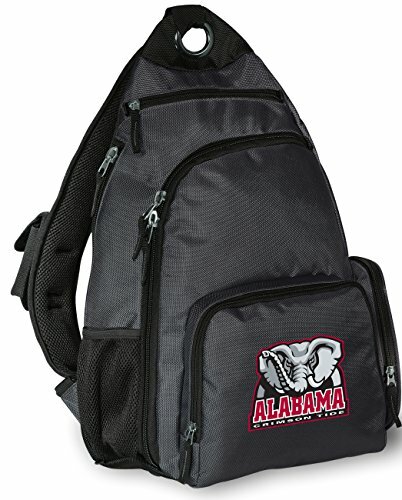 21.5in x 13.5in x 6.25in **OFFICIAL NCAA University of Alabama Backpacks & Alabama Sling Backpacks - Up To 12% Returned To Support University of Alabama Programs! This comfortable cross body Clemson University backpack gives you quick access thanks to its mono strap design that moves easily from your back to your chest. Sturdy 1680 Denier Ballistic Nylon along with large zippers make this Clemson University backpack durable enough for school or travel. Features include an adjustable padded across body shoulder strap, and an organizational panel with key fob in a zippered pocket. 21.5in x 13.5in x 6.25in **OFFICIAL NCAA Clemson Tigers Backpacks & Clemson University Sling Backpacks - Up To 12% Returned To Support Clemson Tigers Programs! This comfortable cross body University of Missouri backpack gives you quick access thanks to its mono strap design that moves easily from your back to your chest. Sturdy 1680 Denier Ballistic Nylon along with large zippers make this University of Missouri backpack durable enough for school or travel. Features include an adjustable padded across body shoulder strap, and an organizational panel with key fob in a zippered pocket. 21.5in x 13.5in x 6.25in **OFFICIAL NCAA Mizzou Backpacks & University of Missouri Sling Backpacks - Up To 12% Returned To Support Mizzou Programs! 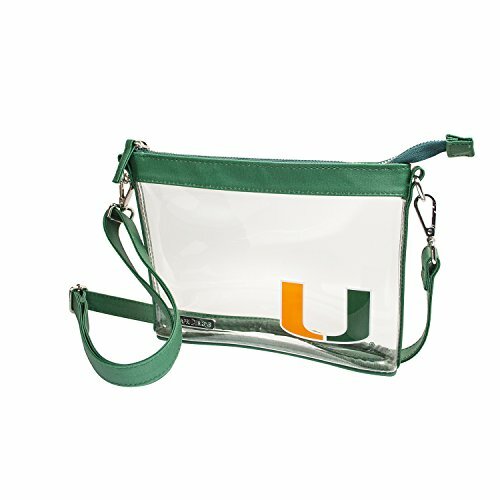 Shopping Results for "University Cross Body"